• This rental agreement provides our standard terms and conditions of all property rentals for Guests. • I must notify Magnolia Villas Properties within two (2) hours of arrival if there is any existing damage to the property or any notable conditions. • I understand that I am responsible for the cost of any damages sustained to the property, décor or its contents during the stay; this includes the moving of items to another property, breakage or any excessive cleaning charges incurred during my stay. • If more than 45 days before scheduled arrival, a 20% deposit is required. • The final payment will be billed to your credit card on file unless other payment arrangements have been made. • A security deposit, required only on certain homes is used to cover damage, breakage, and loss to any of the home contents. The security deposit less any such charges will be refunded back to the Guest as soon as Magnolia Villas Properties has completed its inventory and occupancy report. Refunds will be processed 7-10 business days after the Guests’ check out date. Guests are liable for all damage and loss to the vacation homes during their stay. • By Florida State Law, occupancy may not exceed what is posted for each home. The maximum occupancy excludes children under the age of three years old. • The property is provided for general vacation use only. Vacation rentals may not be used for events or group gatherings that exceed occupancy. Only Guests’ whose names are on the Rental Agreement are authorized to stay in the home. Any Guest having events or group gatherings in the home or exceeding the numbers of authorized Guests will be immediately evicted without refund. • The guest agrees to abide by all HOA association rules, including but not limited to a quiet time of 11 pm to 7 am, parking rules and no events policy. Note, Resort HOA are guarded and gated 24/7 to monitor resort access. • If during the rental period, any law or ordinance is violated, or the property is used for any immoral purpose, occupancy will be immediately terminated without refund. • The reservation is accepted and confirmed only for the number of Guests declared on the original inquiry and/or listed on the Rental Agreement. Magnolia Villas Properties reserves the right to cancel the reservation if additional Guests are added without prior consent, or if a home is over occupied. • In order to protect against the use of stolen credit cards or credit card fraud a strict policy will be required for all last minute reservations made within 20 days of arrival. • This strict policy may also be requested for any reservation regardless of the process date as a precaution against fraud. • A security deposit may be required to protect the property against damage. The security deposit will be returned within 7-10 days of the departure, provided there is no excessive cleaning, breakage or damage to the premises. • A copy of a valid driver’s license or passport and credit card will be required upon confirmation of booking, which is to be sent via email to our Reservations team for our records. • Please be advised that the name on all documents must match; name of lead guest on reservation making payment, name on credit/debit card used, name on photo ID. • The accidental damage waiver will become null and void upon Guest departure and any un-reported damage found by Magnolia Villas Properties will be at the sole responsibility of the Guest. • The Guest will be fully responsible for all damage charges, which will be processed onto the Guest credit card on file. • In the event that the Guest fails to pay any amount due to Magnolia Villas Properties for property damages, Magnolia Villas Properties’ reserves the right to exercise any legal remedies to pursue the amount owed from the Guest. • Intentional damage, theft or gross negligence is not covered and will result in additional costs to the Guest and possible legal action.The Vacation Rental Damage plan can be purchased at the moment of your reservation or select the $500 refundable security deposit if you do not wish to participate in this assignment. In the event that you must cancel your reservation, please be aware that cancellations must occur at least 30 days prior to arrival date. If cancellation occurs 30 days or more prior to arrival date all monies will be refunded with the exception of a $200.00 administrative fee. GUESTS THAT DO NOT CANCEL WITHIN THE 30-DAY TIME FRAME WILL BE CHARGED THE FULL AMOUNT. There will be no refund for early departure unless authorities request mandatory hurricane evacuation. Vacation Insurance is recommended. • The Guest reserving a specific property for specific dates. The dates and the property cannot be changed, doing so would effectively cancel the original reservation, and so the cancellation policy would apply. • If the length of stay is reduced from the original dates, the cancellation policy will apply to the nights that have been canceled. • Cancellation of the arrangement due to non-payment of the balance by the due date will result in the loss of all monies. • Magnolia Villas Properties regrets that they are unable to waive any of the cancellation charges above, whatever the circumstances. Please consider trip insurance against unforeseen cancellations for your Florida vacation. For the convenience of other guests and in an effort to help us provide the most sanitary accommodations available, pets are NOT permitted. In the event that you bring a pet without previous authorization, your credit card will be charged a non-refundable penalty fee of USD$500.00 USD (Five Hundred U.S Dollars) plus tax per pet and any stain or damage caused by the pet. Exceptions may be made under special circumstances (Service Dogs) and must be arranged in advance. A pet deposit may apply if approved.. In this case, with the valid identification of the pet must be provided and a non-refundable pet fee of USD$250.00 (two hundred and fifty U.S Dollars) plus tax will be due. • Travel insurance is available at 6.95% of your total booking cost and offered through CSA Travel Protection. • Travel insurance payment is taken at the time the reservation is processed. A Guest may choose to purchase insurance after they have made a reservation. • If travel insurance is purchased after the original booking, it must be purchased at least 45 days prior to the Guest’s arrival, which is when final payment is due. • Magnolia Villas Properties does not offer refunds or reschedule bookings due to hurricane activity. If you are concerned about the possible interruption, cancellation or delayed travel due to tropical occurrences, you are strongly encouraged to purchase travel insurance at the time of booking. • Typically the peak season for tropical activity is August through October. • Travel insurance is 6.95% of your reservation total and offers a comprehensive cancellation and interruptions policy, which can protect you not only in the event of weather-related storms but for sudden emergencies as well. • Smoking is not permitted in any property managed by Magnolia Villas Properties at any time. In the event that a Guest is found to have smoked in the property, the Guest will be contacted and informed of any charges related to the cleaning/deodorizing of the property and all items in the property (i.e carpets, furniture, window treatments, etc). These charges will be applied to the credit card on file for the reservation. • All property descriptions given on the website(s) are made in good faith. Magnolia Villas Properties and the owner(s) of the property accept no liability whatsoever for errors or omissions. • The Guest agrees the rental period will begin and end on the dates as shown on the Rental Agreement and reservation. • Occupancy of RV campers, enclosed trailers and/or tents on the premises is strictly prohibited. • The Rental Agreement may not be assigned to a third party nor shall the property be sublet. No locks must be broken, changed or added. • The Guest is hereby granted a license to use the premises. 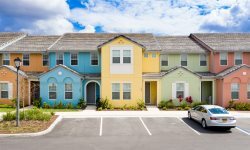 The Guest acknowledges and agrees that no form of tenancy has been created pursuant to Chapter 83, Florida Statutes through Guest’s use of the premises. • Any disputes under this Agreement shall be resolved exclusively via binding arbitration according to the rules of the American Arbitration Association for commercial disputes in Orange County, Florida, applying Florida Law. Each party shall pay their own attorney fees/costs and, the State of Florida shall have exclusive personal and in rem jurisdiction over any dispute. • In the event a Guest leaves any personal item(s) behind in the vacation rental property, we will do our best to locate the item(s). There is no daily maid service and housekeeping will be performed upon check out. Bookings that are more than one month in duration will be charged one cleaning fee per month and a clean will be conducted each month. Linens and towels are included and not to be taken from the unit. An initial setup of trash liners, bathroom paper and soap is provided. Once this initial setup is depleted, guest is responsible for additional items to be used during their stay. Guests will need to provide their own paper items and cleaning supplies. An initial set-up of trash liners, bathroom paper, paper towels, and soap is provided. Extra items needed are the responsibility of the guest. There is a one time cleaning fee which is already included in the Fee total noted on your agreement and will be performed once, at the end of the rental period (unless the booking exceeds one month, then additional cleaning fees will be charged). Additional cleaning fees will be assessed in the event any abnormal use of the property results in the need to perform more extensive cleaning to return the unit to its condition immediately prior to your rental or if cleaning involves the removal of excessive debris. No compensation will be given for temporary outage of electricity, gas, water, cable, internet or telephone service (some units may not have phone service). Outages will be reported immediately and all efforts will be made to have them restored as soon as possible. Please note that you may want to bring a cell pone or calling card for placing long distance phone calls, as these are restricted. If utility costs are higher than average of the last 3 months prior to your check in and deemed excessive you will be required to pay the difference. You will be issued a code for the keyless door lock, which will be sent to you along with your check in/check out procedures email prior to your arrival PLEASE DO NOT GO TO THE FRONT DESK. If after hour or resort access keys are issued they must be left in the unit upon check out, missing keys will be charged at $60.00 per key. The owner furnishes linens and towels. Any missing or damaged or stained linens will be deducted from your security deposit or you will be charged for those items. An initial starter pack of paper goods, shampoo, soap and trash bags are provided. Extra items needed are the responsibility of the Tenant. Limited cleaning supplies may be provided. We recommend that you bring any special items that you may need or purchase them during your stay. Guest agrees not to set the temperature lower than 72ºF or above 78ºF degrees. When the AC is being used we request that all windows and doors be closed in order to reduce humidity and to save energy. • The property will have an electronic lock for your convenience. This code will be sent upon receipt of final payment and signature of your rental agreement. • 7 days prior to arrival and upon receipt of the Rental Agreement and full payment of your reservation. Magnolia Villas Properties will email the Guest Rental Voucher, which will include full driving directions and keyless access door code for your entry into your vacation home. This code will be activated at 4:00 PM, which is check-in time. • An early arrival can only be arranged for an additional fee if the home does not have another Guest’s departure scheduled. This option is only available within 10 days of arrival, but must be arranged in advance and cannot be added on the day of arrival. • Check out is before 10:00 AM. You are not required to clean the home or wash the linens or dishes. However, there will be an additional cleaning fee if the home is left in a condition that would require an excessive or additional cleaning. • You are required to take out your trash on the designated days as stated in the property. • In the event a Guest fails to depart from the home by 10:00 AM with no late check out arranged and results in Magnolia Villas Properties being unable to clean and prepare the home for the next arriving Guest that day, the departing Guest agrees to pay damages and costs incurred by Magnolia Villas Properties; including but not limited to moving the incoming Guest to another home. A late check-out can only be arranged for an additional fee if the home does not have another guest’s arrival schedule. This option must be arranged in advance and cannot be added on the day of departure. • According to Chapter 515.33 of the Residential Swimming Pool Safety Act: Anyone tampering with or disconnecting pool alarms commits a misdemeanor of the second degree, punishable by a $5000 fine or one (1) year in jail. Please do not tamper with the pool alarms. If there is a pool with the unit and you request a heated pool, an additional nightly energy fee will apply. Pool heaters are heat pumps which fluctuate with ambient temperatures and will heat, on average, to 10 to 15 degrees F above ambient temperatures (rain and windy conditions also affect pool temperature). In cold temperatures pool heat pumps may not operate when temperatures drop below 60 degrees F. The maximum water temperature that may be achieved is 83 - 85 F. All heaters are set with timers and will not heat overnight so some temperature loss may be experienced overnight but will be made up during the day. • All homes with a pool have a child safety fence or pool door alarm, which will be in place when you arrive. You may remove a part of all of the fence during your stay and if you do, it is solely at your own risk. At the end of your stay please re-install the fence, failure to do so will result in a $45.00 installation fee which will be deducted from your security deposit. Disarming the pool door alarm will result in fines pursuant to local & state authorities. • Please note that we do not have control over pool heating not working for any reason and in such case, contact us immediately. • Tenant hereby acknowledges that the premises they have reserved may include a community pool and or private pool with the unit and the undersigned agrees and acknowledges that the community pool and or private unit pool, patio/deck and bathrooms can be dangerous areas, the deck/patio and bathroom floors can be slippery when wet, and that injury may occur to anyone who is not careful. With full knowledge of the above facts and warnings, the undersigned Tenant accepts and assumes all risks involved to Tenant and all of Tenant's guests in or related to the use of the community pool and or private unit pool and patio areas. • The Guest agrees and Magnolia Villas Properties permits the Rental period to begin and end on the dates and times shown as the Rental period, as shown in the Rental Agreement. • Magnolia Villas Properties is an independent management company that manages privately owned individual rental properties. The Guest acknowledges that Magnolia Villas Properties is not liable if access to any such Resort amenities is restricted due to maintenance, resort policies, or any other reason. • No refunds will be given for late arrivals, early departures or unused days of your rental property reservation. • Each home comes complete with a fully equipped kitchen including a refrigerator, freezer, oven, range, microwave, dishwasher, toaster, coffee maker, cookware, dishes, glasses, utensils, linens, and towels. Each property also includes a full-size washer and dryer, iron, ironing board, and hairdryer. While bath and hand towels are provided, you may want to bring your own beach towels and washcloths, as these are not always supplied in the property. • Please understand that vacation homes are self-catering accommodations. Magnolia Villas Properties provides complimentary starter soap, toilet paper, and trash bags. Once these items are used, it is the Guest’s responsibility to replenish them. • Community and home amenities are used at the Guest's own risk. Guest should exercise caution when using stairs, elevators, showers, bathrooms, and walkways. Magnolia Villas Properties and the homeowner (s) accept no reasonability for any personal loss, injury or illness, and shall not be held liable for the personal safety of the guest or their travel party. • Magnolia Villas Properties and/or the Owner do not release the physical address of the property to the Guest prior to receiving a signed and valid Rental Agreement and payment of the Rental are made in full. At this point, the Guest will be sent via email a Rental Voucher, which will include the property address and all other information needed for the Guests’ arrival. • Magnolia Villas Properties and/or the Owner do not accept liability for equipment failure and/or services in the Property. In the event of failure of equipment, the Guest must notify Magnolia Villas Properties s within one (1) business day, so that Magnolia Villas Properties may elect to rectify the failure. • Magnolia Villas Properties and/or the Owner do not accept liability for lost or stolen personal property of the Guest within the Property during the rental period. In the event that property of the Guest is lost or stolen, the Guest should advise the appropriate authority first, and then contact Magnolia Villas Properties to report the lost or stolen items. • The Guest must ensure that children are supervised at all times. It is the policy of Magnolia Villas Properties that all children under the age of 18 years are not left in the rental home un-supervised at any time during the rental period. • Games, toys, baby furniture/equipment, strollers, rental cribs are all used at the Guests’ own risk. • Magnolia Villas Properties does not accept liability for acts of violence, nature, fire, flood, war, civil disobedience, riot, or other force majeure that may have a deleterious effect on the Guest. • We cannot accept any liability for the failure of public supplies such as water, electricity, gas or telephone/internet supplies. Nor for the consequences of the actions or omissions of persons who may supply or control main services, or any action taken in the vicinity of the property reserved, by any authority or persons over which we have no control. We cannot accept any liability for the air conditioning system, the pool heater or any household appliance breaking down. Urgent steps will be taken for a local engineer to rectify any problem. • We accept no responsibility of liability for any loss or damage or alteration in the terms of your reservation caused by events beyond our control, including, but not restricted to war, terrorist activity, civil commotion, flight delays or cancellations airport closure, adverse weather conditions, fire, flood or industrial dispute. There will be no credit given for shortened stays due to late arrival or early departure for any reason and no credit given for cancellation due to weather conditions. • The use of the BBQs is at the Guests own risk and Magnolia Villas Properties cannot accept any responsibility for injury of any kind that may arise from the use of BBQs. The Guest takes full responsibility for the connection of gas bottles. Guests should also remember to keep children away BBQs whether in use or not. • Magnolia Villas Properties do not accept liability for failure of pool heat to provide adequate heating where pool heat is provided via an electric heat pump, and where the outside air temperature drops below 55 degrees Fahrenheit. Electric heating pumps do not operate effectively below this temperature, and failure of such devices to heat the pool is outside of Magnolia Villas Properties’ control and is regarded as an act of nature. • Failure to comply with any of the terms herein will at the sole discretion of Magnolia Villas Properties, result in the eviction of the Guest from the Property, without refund. • There may be circumstances beyond our control, in which the property might not be available for your reservation. Examples of these, but are not limited to, destruction of property, sale of property, construction nearby water, gas or sewer leaks, fire or any other damage to the property making it inhabitable or potentially inhabitable. • In the event of Force Majeure, Magnolia Villas Properties will do their best to make alternative arrangements. If these alternative arrangements are not acceptable to the Guest, then Magnolia Villas Properties will refund all monies paid. If the Guest accepts the alternative accommodation, they also agree to re-locate back to the original property when it is deemed available by Magnolia Villas Properties. This will be the full extent of our liability to the Guest, and we will not be responsible for any other costs connected with any such cancellation howsoever arising. The undersigned Tenant, for himself/herself, his/her heirs, assignors, executors, and administrators, fully releases and discharges Owner and Magnolia Villas Properties, LLC from any and all liabilities, claims, demands, and causes of action by reason of any injury, loss of damage by whatever nature which has or have occurred, or may occur to the undersigned, or any of his/her guests as a result, or in connection with the occupancy of the premises and agrees to hold Owner and Magnolia Villas Properties, LLC free and harmless of any claim or suit arising there from. In any action concerning the rights, duties or liabilities of the parties to this agreement, their principals, agents, successors or assignees the prevailing party shall be entitled to recover any reasonable attorneys fees and costs. Magnolia Villas Properties, LLC reserves the right to terminate this Agreement upon its discretion at any time. Please remember that you are renting a private home. Please treat it with the same respect like you would your own. Thank you for renting with Magnolia Villas Properties!